A funny thing happened on the Bainbridge Island ferry this weekend. It was a beautiful afternoon, with crystal clear views of Mt. Rainier, Mt. Baker and pretty much any other Mt. you can think of. So, I was up on the top deck, along with dozens of other passengers, soaking it all in. But one man was oblivious to the scenery. Instead, he was engrossed in the program for Pacific Northwest Ballet’s American Stories, the last offering of PNB's artistic season. Given that I’d just seen the show, I sidled over to ask what he thought of it. “I loved the third dance,” he replied. He told me he’s a ballroom dancer, and Twyla Tharp’s ebullient Waiting at the Station resonated with him. PNB Principal Dancer James Moore, on bench, with company dancers in Twyla Tharp's "Waiting at the Station"
Frankly, this ballet, created in 2013 for PNB, resonated with almost everybody who saw it. One of the big reasons is principal dancer James Moore’s knockout performance as a father who, realizing his life is nearing its end, tries to pass on his knowledge to his son (winningly danced by corps de ballet member Price Suddarth). This story sounds grim, but it’s actually quite exuberant. 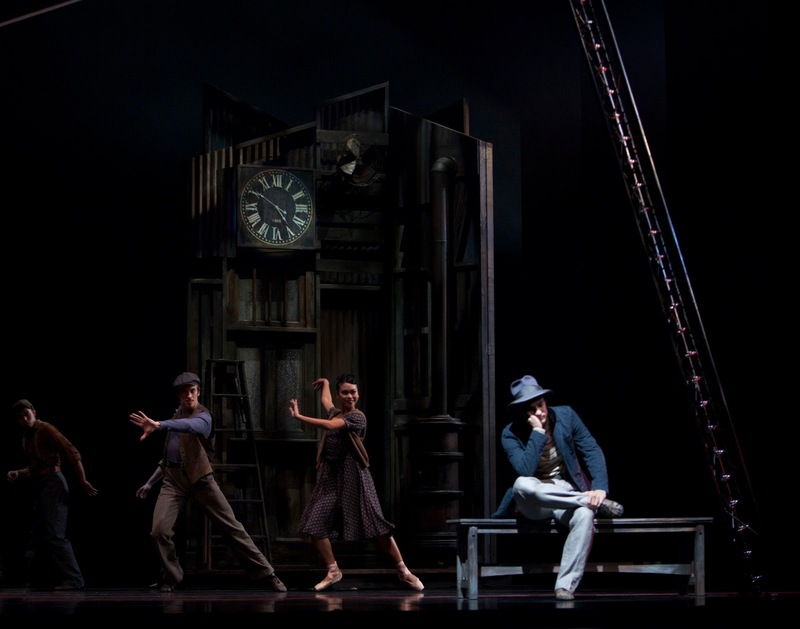 Moore and Suddarth’s relationship unfolds against the backdrop of a lively crowd of dancers who wait at the train station. Featured are two couples who make eyes at each other, plus a trio of long-legged Fates (Chelsea Adomaitis, Elle Macy and Sarah Pasch, so charming). And the action is performed to Allen Toussaint’s wonderful music, featuring pianist Allan Dameron, Todd Larsen on bass, and drummer Gunnar Folsom with the PNB orchestra. This ballet fires on all cylinders: good story, great choreography, and accomplished dancing. But James Moore is the real jewel at the heart of Waiting at the Station. Tharp created this dance with him three years ago. It doesn’t just suit him, it seems to be part of Moore’s very being. Whether he’s spinning like a top, executing a little soft-shoe shuffle, or trying to escape the Fates that surround him, Moore makes each move seem effortless, as if they come from his soul rather than the choreographer. 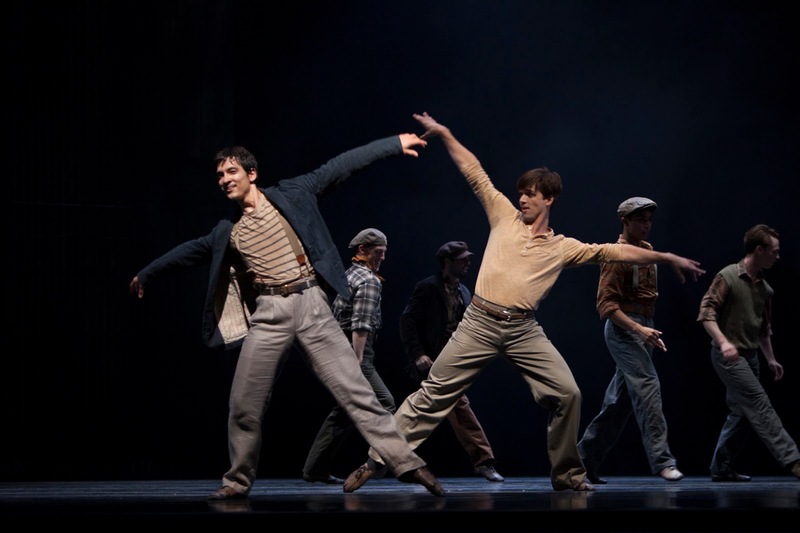 It’s thrilling to see a performance like this; while the entire cast was technically polished, and the dance itself is fun to watch, on opening night, Moore was transcendent. Through movement alone, he conveyed the story of a man filled with a zest for life, and a drive to pass on that passion to his son. Waiting at the Station brought down the house, but the other two dances on the evening's bill were equally rewarding. Jerome Robbins’ 1944 work, Fancy Free, about three sailors on shore leave, is always fun. 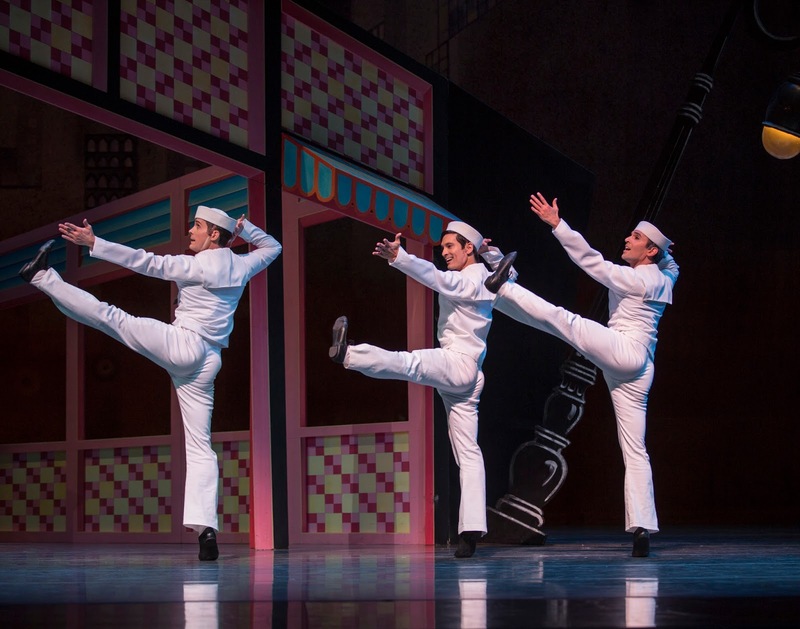 On opening night Moore danced it with fellow principals Seth Orza and Jonathan Porretta, plus Lesley Rausch and Noelani Pantastico as the two women that incite the sailors to fisticuffs. Sandwiched between these two stories was George Balanchine’s lovely, lyrical Square Dance. When I asked my ferry boat acquaintance what he thought of those two works, he hesitated. “They show the range of what ballet can be,” he finally responded. He's absolutely right. 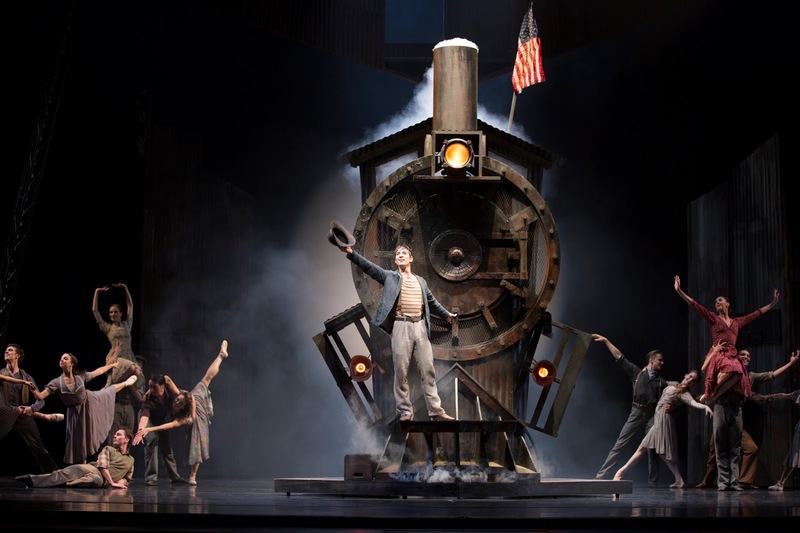 PNB’s American Stories is a season-ending gift to dance fans. Three dances by three American masters. And a performance from James Moore that you won’t forget.